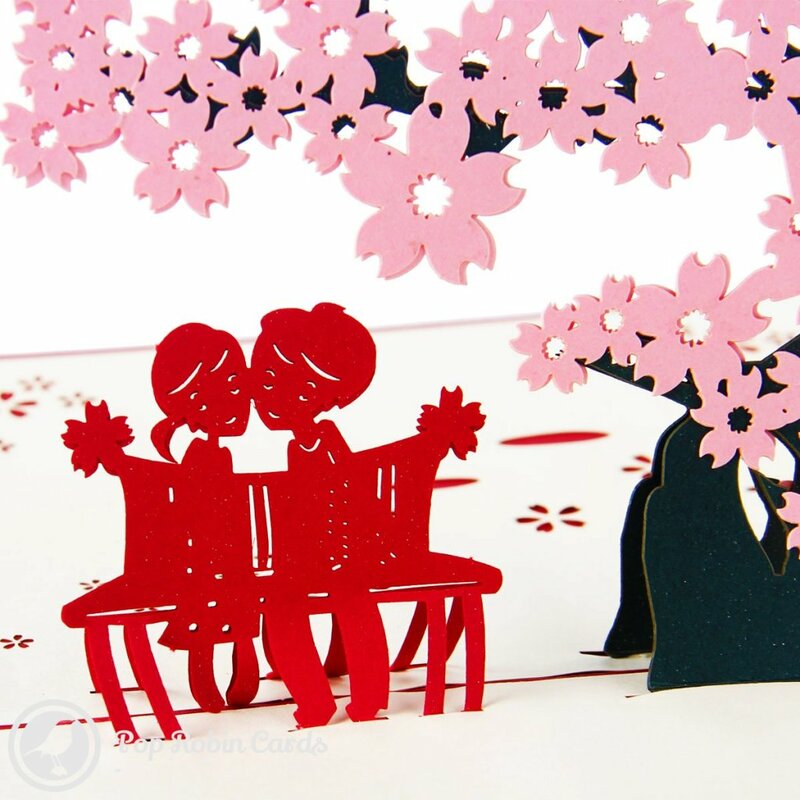 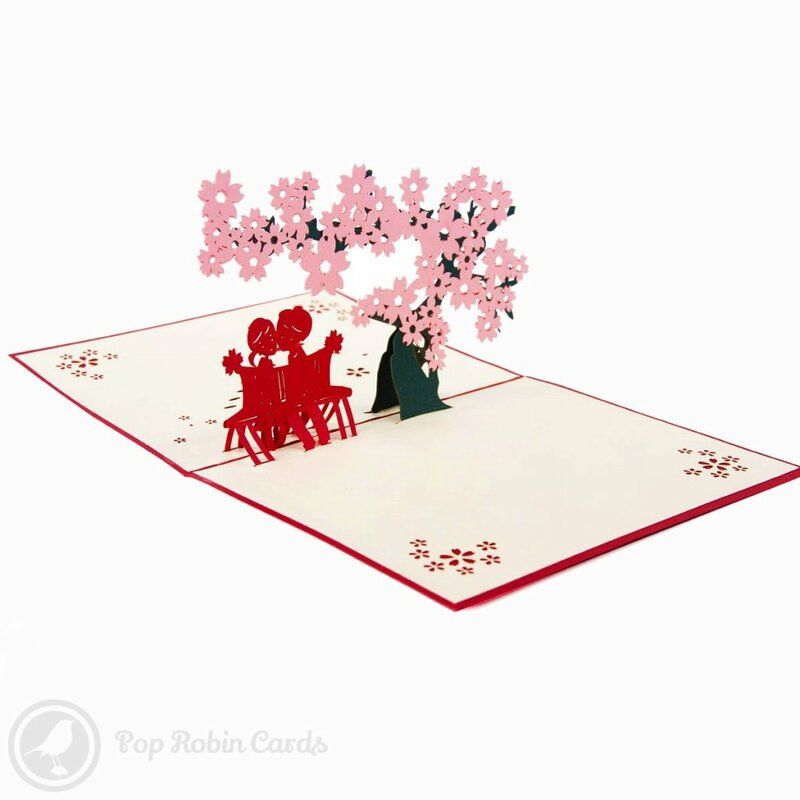 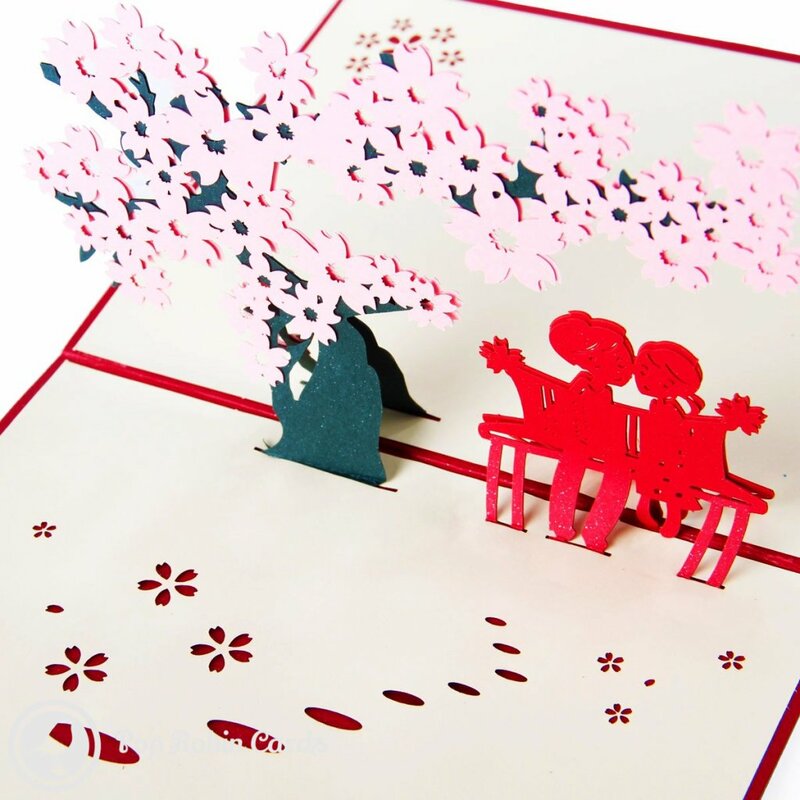 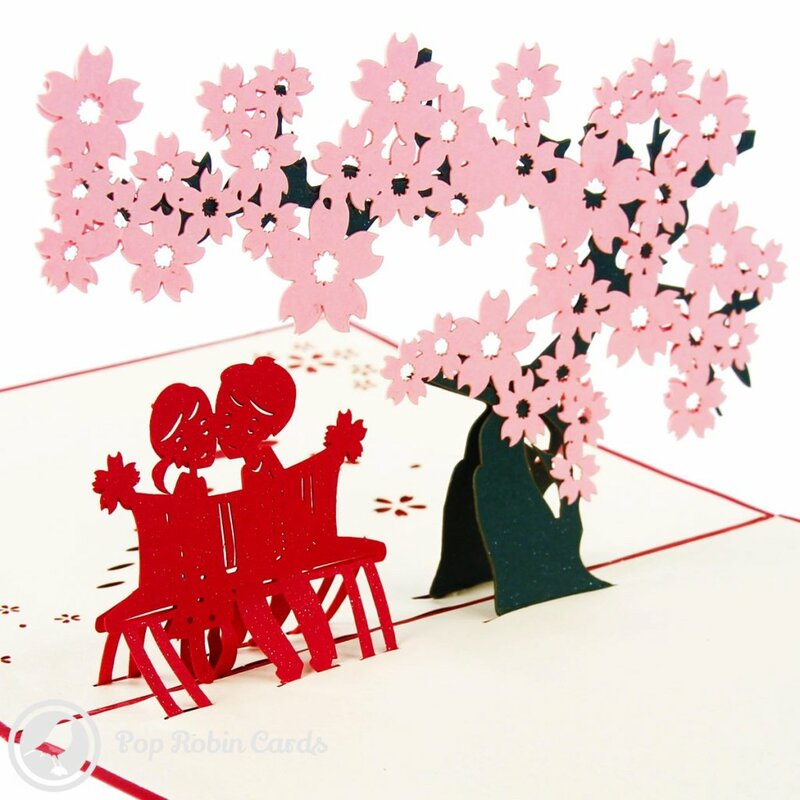 This lovely greetings card opens to reveal a beautiful 3D pop-up scene with pink cherry blossoms above a young couple sitting together on a park bench. 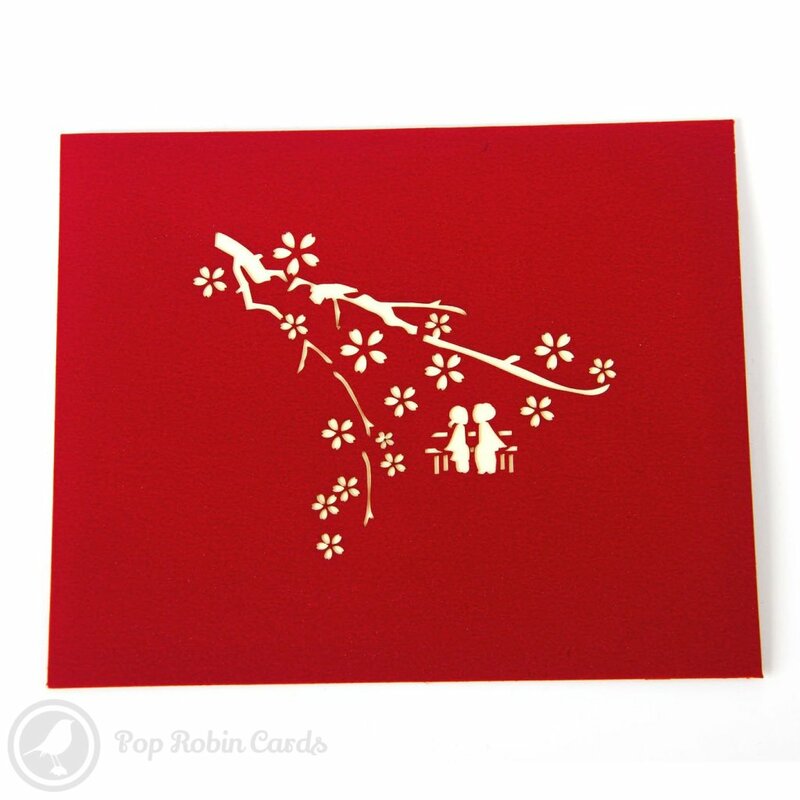 The cover has a stenciled design depicting the same scene. 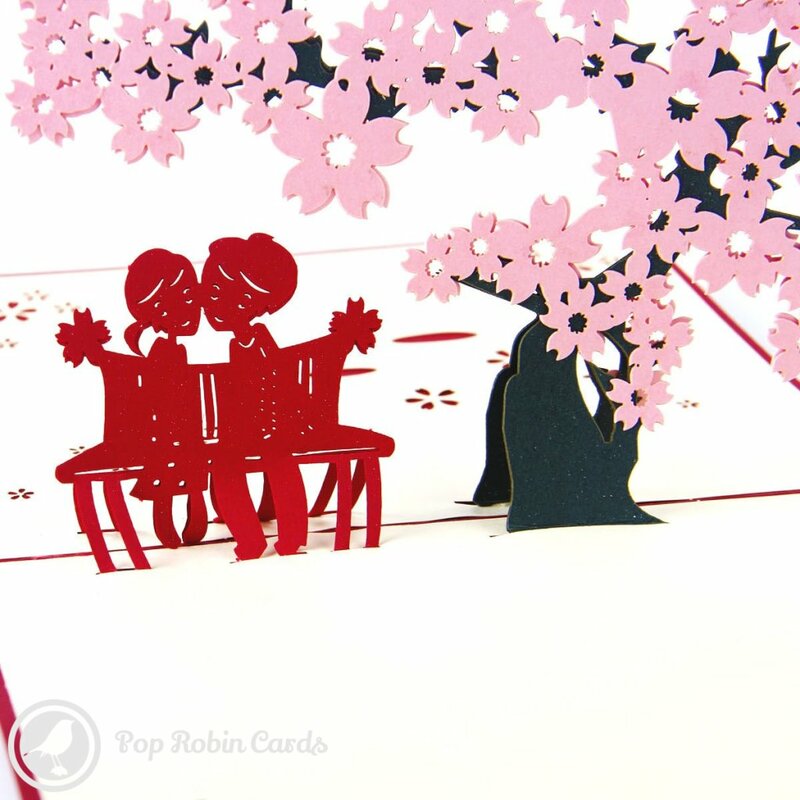 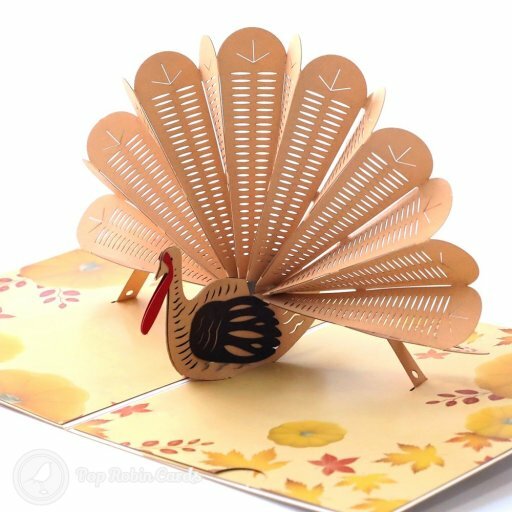 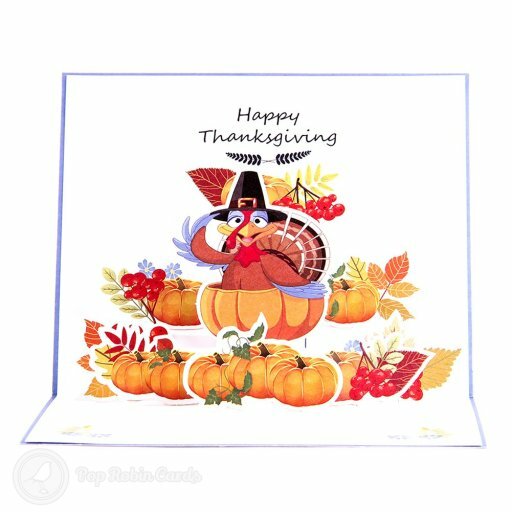 It's a cute romantic card to give to someone special.